Commander 2016 preview season is upon us! I am in the enviable position of being selected to preview a card for you and that means I got to see it early and think about what we’ll want to do with it going forward. Yes, I’m saying “preview” because the rule is, when someone else previews a card, they spoiled it and when you spoil a card, you’re previewing it. Wizards prefers it when I call my spoiler a preview card, so here it is — the preview card I’m spoiling for you all. Enough preamble — let’s get a look at the card already. What’s going on here? This isn’t four colors at all! No, even better than that, this is half of a four color Voltron commander that can be made out of Ishai and any other commander which has the “partner” ability, which is a very clever approach to four color decks. Each preconstructed deck still has a four-color commander, and it’s been confirmed they’ll have three, two-color creatures with partner, one that’s ally colored and two that are enemy colored. Partner allows you to really customize your four color deck because you will likely have a fairly wide range of creatures with partner to choose from — I imagine there will be fifteen in total, giving you 105 possible combinations for decks. But let’s focus on what we absolutely know for sure — how to build with Ishai. Ishai is a bird legend, but not one that necessarily rewards you for playing bird tribal. (He? She?) would fit in fine in the 99 of a bird tribal deck built around a creature like Kangee, Aerie Keeper and I won’t tell anyone they did it wrong if that’s what they do with Ishai. However, since you have access to up to two other colors if you run Ishai as your general paired with another general you’re doing it wrong if you don’t allow yourself to access those other colors. Wait, did I say I wouldn’t tell anyone they were doing it wrong if they put Ishai in the 99 somewhere? Well, if you’re denying yourself access to cards in other colors that you normally wouldn’t get to play with your bird cards, maybe you are. 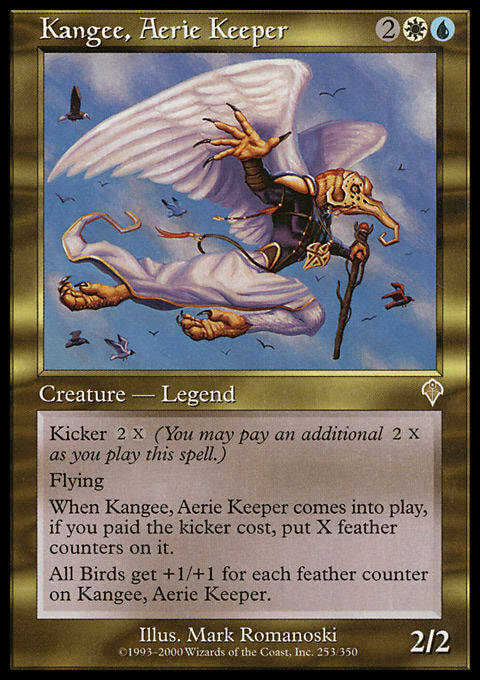 Still, I think we’ll leave bird tribal to a commander like Kangee and look at builds that play to Ishai’s unique strengths as a commander. Since we basically have half a command zone, I’m going to build a bit of a skeleton around Ishai and then talk about some cards in other colors that would complement the strategy. Will the deck we build around Ishai look very different depending on the abilities of the partnered commander rather than just the colors that commander contributes? Maybe, and maybe not. There is no real “wrong” way to build a Commander deck as long as it’s fun and is capable of winning games. 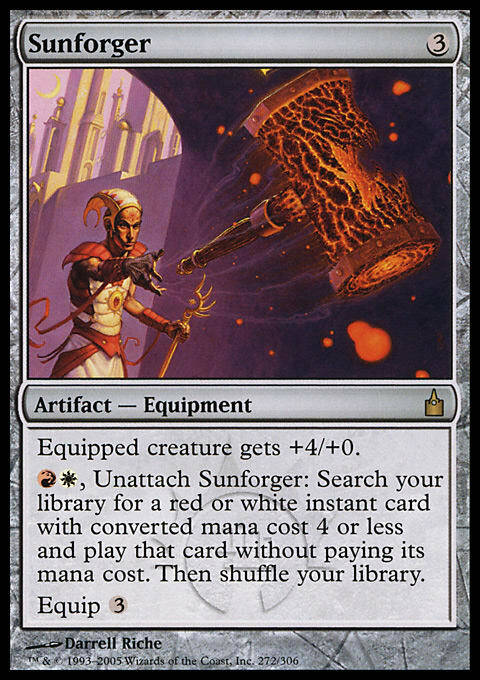 If we want to build with just Ishai and two other colors, we can do that and we’ll probably have a deck that’s at least serviceable. So today isn’t about getting a perfect Ishai deck, but rather just getting ourselves in the right headspace to think about the potential of the partner mechanic. 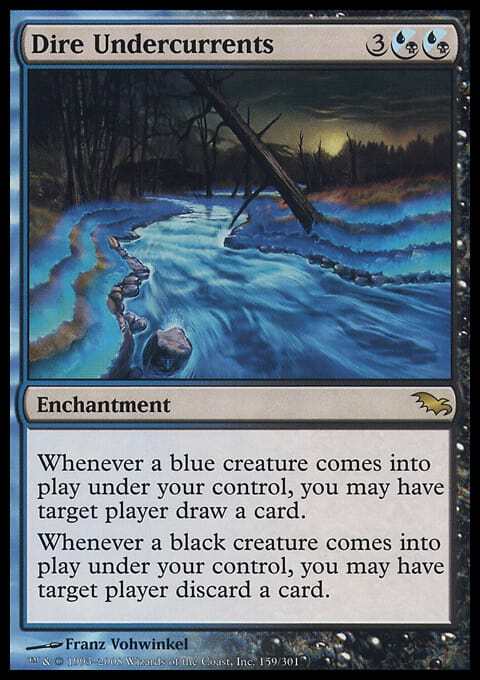 So even though we might not want to do this once the whole set is spoiled, let’s build around this card and then talk about what we might want other colors to do to help us out. At first glance, Ishai has a bad form of Prowess that, while permanent, relies on our opponents playing spells. That doesn’t seem thrilling (I’m interested to see how the commander Ishai is packed with complements this ability, if at all) but if we can force them to play a lot of spells, Ishai can get out of control in short order, especially with a table full of opponents all contributing. After all, Taurean Mauler is a beating and so is Managorger Hydra. Having that ability in colors where we can protect the creature seems even better. Couple that with a way to make our opponents play spells and we have a powerful creature that can take over the game. Luckily, Blue and White are the perfect colors to make our opponents play a lot of spells. How? By making them play the same spell many times. Let’s take a look at a 75-80ish card shell first of all and then we can look at what the other colors can contribute. The deck isn’t done, but you can see what we’re driving at here. We play a lot of stuff to bounce stuff and make them re-buy their spells, all the while protecting ourselves and our investment in our commander. This is kind of like a Voltron deck, but it’s the most control-oriented Voltron deck ever. 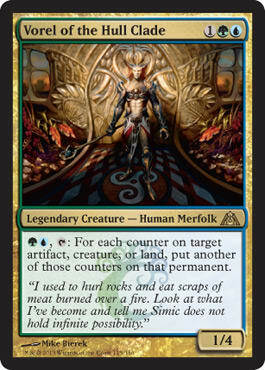 Instead of being all-in on our commander getting there like Bruna, Light of Alabaster, we’re just incidentally growing our commander all the while controlling the game. It’s similar to Talrand, Sky Summoner in that regard, but unlike Talrand, we have access to other colors. Up to three other colors. How cool is that? What if the other commander we used didn’t have any relevant abilities? We would still want to partner Ishai with something because we’re basically leaving value on the table if we don’t take advantage of the fact that we can access additional color. 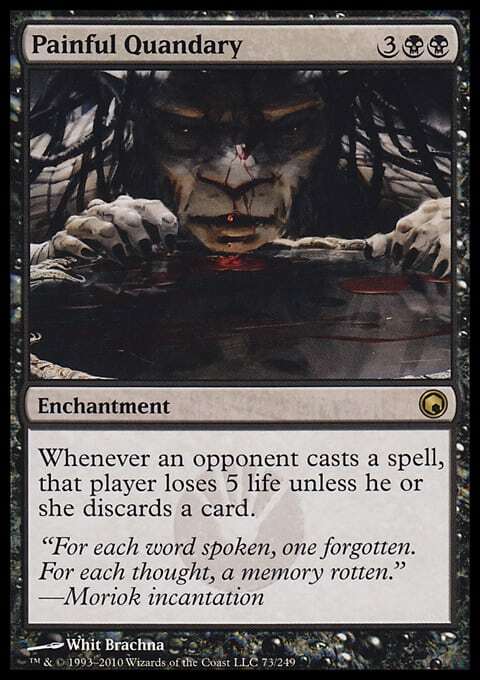 Do we add a Dimir card just to access black? We might if that Dimir (Silumgar?) commander with the partner ability has other abilities relevant to us. We may also add a Gruul one just for access to two more colors. We won’t know until we see those commanders. 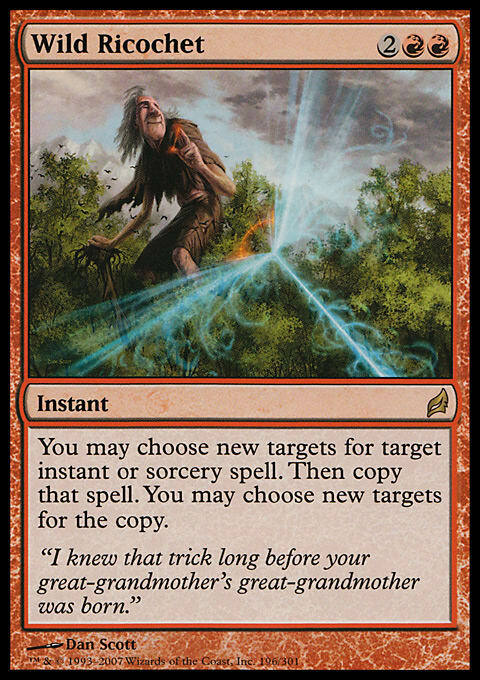 What we do know is that there are cards in other colors we’ll want access to to fill those last few spots that will continue the theme of making them replay their spells and protecting our commander. Here’s cards to keep in mind between now and when we see what we can partner with Ishai. 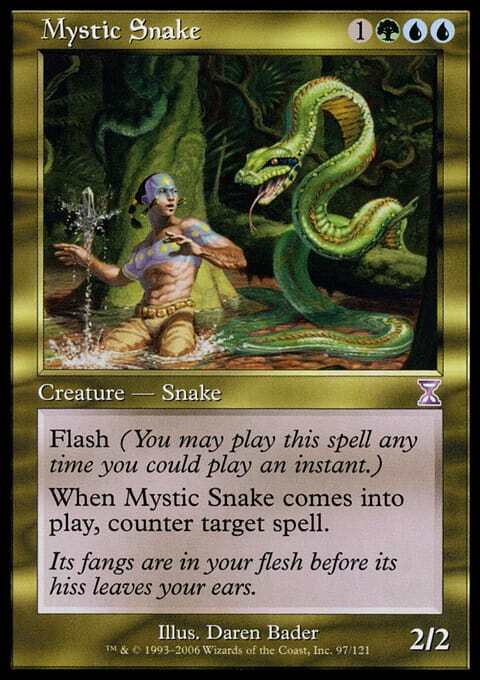 Green gives us access to cards that increase the number of counters we put on Ishai, making it grow twice as quickly. We also have some more ways to protect our neck in the form of Asceticism and Privileged Position. Bear Umbra is a way of doing both, providing a life-saving protection bubble around Ishai while helping us keep our mana open. This isn’t my weekly finance article series, but that doesn’t mean if I notice a card like Bear Umbra is under $4 on CoolStuffInc, has grown from $2 in the last year and is starting to see its supply shrink, I’ll keep quiet about it. Managorger is another Ishai effect and with Trample, it promises to threaten the opponent almost as much, though commander damage will certainly close the game out much faster than damage from a rando hydra. If I had access to Green with the Ishai deck (and we should - there will be up to four commanders with Green in them with the partner ability to choose from) these are the cards I’d play if I wanted to keep to a deck built around Ishai’s ability. If we’re going to bounce stuff, we might as well make it a little painful for them. Painful Quandary makes it even more painful when they’re forced to either make our commander much bigger or let their hand fill up. Warped Devotion and Recoil can keep their hand size from getting out of control and forces them to choose between land cards they need to progress and the cards they need to get ahead, cards you’ll almost surely bounce or remand. I included a very odd card, Hex, because we need to kill multiple creatures sometimes but don’t really want to run Wrath effects in this particular deck because if Ishai dies, we lose the counters. 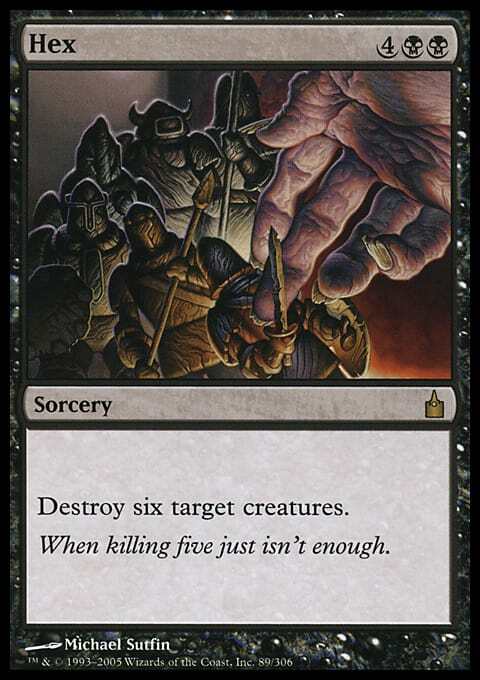 Instead, we can run Hex, a card that is really terrible in Limited because you can’t play if it there are fewer than 6 targets, meaning you either had it stuck in your hand or had to target your own, turning it into a bad, 6 mana Bone Splinters in a lot of Limited games. This ain’t Limited, and Hex will almost assuredly have enough targets. This comes close to a board wipe sometimes but it lets Ishai live. 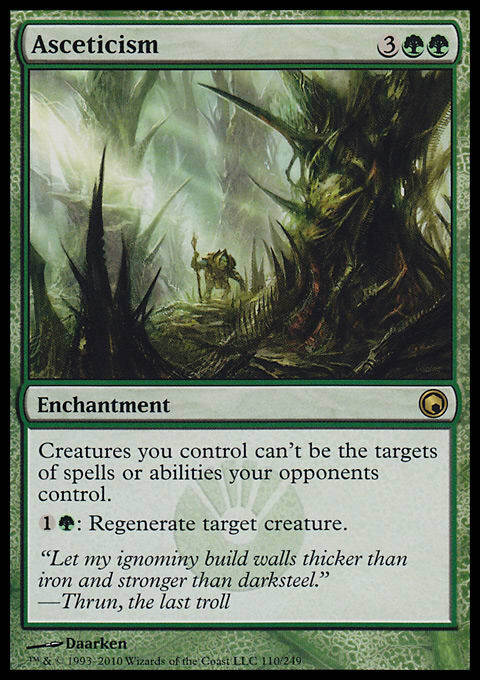 Similarly, cards like Languish and Decree of Pain can deal with smaller creatures and leave Ishai alive. I like the idea of re-buying cards like Zealous Conscripts with the same bounce mechanisms we use to control their board. Inferno Titan, Bogardan Hellkite, etc. will all be good cards in this class to use with our cards like Temporal Adept and Erratic Portal. 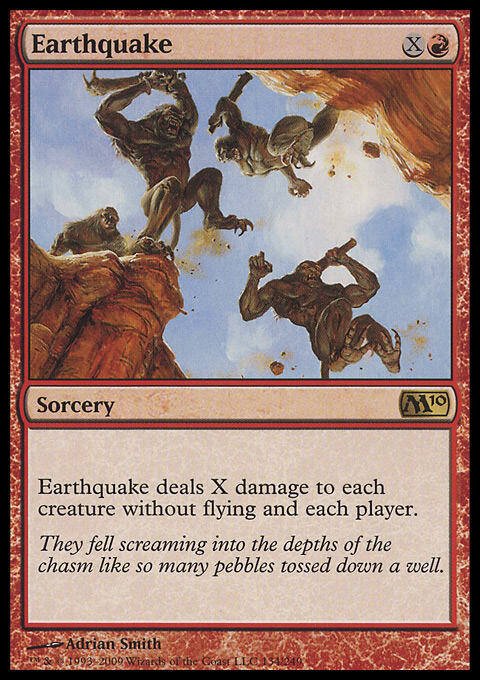 Boros Charm does a lot of work here and it’s not just another Assault Strobe given how relevant all of its modes are, especially if they try to kill our commander. Fork and Wild Ricochet capitalize on them playing spells and hurts them even more when they spells grow our commander and give us a spell or copy or hijack. Reiterate is another great card in this class. Threaten effects not stapled to a creature are also fine, though harder to rebuy, but I imagine a lot of people will find room for Snapcaster Mage and Torrential Gearhulk, especially with ways to bounce our creatures. What do we think? Will people only build with the synergy between the two partnered creatures in mind or will people also like building with one commander in particular in mind, using the partnered creature to give them access to better colors? Will some lunatic make a deck for every permutation? (I can answer that one, yes, and the EDH subreddit will LOVE IT). Are you excited about partner as a mechanic? Do you think we will just have partner creatures and not get any four-color commanders in C16? Leave your thoughts in the comment section and remember to share and retweet this article on social media. Thanks for reading, everyone, and keep checking back for more Commander 2016 coverage!